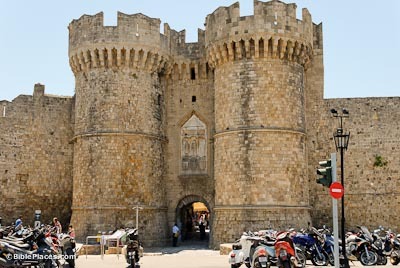 Located between Crete and Asia Minor, the island of Rhodes was the gateway to the Aegean. 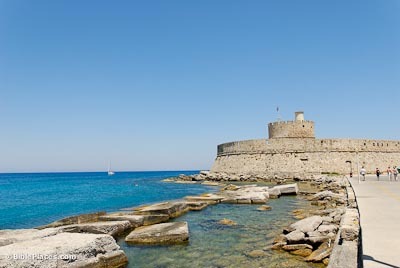 The numerous harbors on the island made Rhodes an ideal transit point for shipping in the ancient world. The island averages 300 days of sunshine per year and is famous for its clean, sandy beaches. It is named after the nymph Rhodos, the daughter of Aphrodite, and has nothing to do with the Rhodes Scholarship. One of the seven wonders of the ancient world was the Colossus of Rhodes. Built between 304 and 292 BC, this bronze statue stood 105 feet (32 m) high and commemorated the island’s victory over Demetrius in 304-303 BC. It depicted the sun god Apollo (Helios) and may have also have served as a lighthouse. The Colossus of Rhodes was destroyed by an earthquake in 227-226 BC, and its remains were carried off by Arab raiders 800 years later. According to tradition, it took 1,000 camels to haul the pieces away. 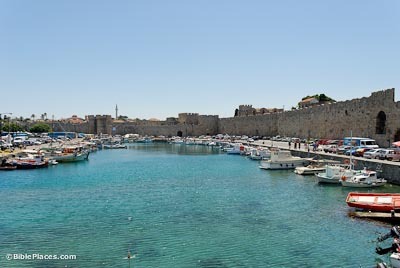 The importance of Rhodes in the New Testament period is attested by the visits of Herod the Great to the island. Herod passed by Rhodes on his way to Brundisium in the 40s BC (Ant 14:370-78; War 1.277-81). After Antony’s defeat at Actium in 31 BC, Herod returned to Rhodes to profess his loyalty to Augustus. The emperor confirmed Herod’s rule and honored him. 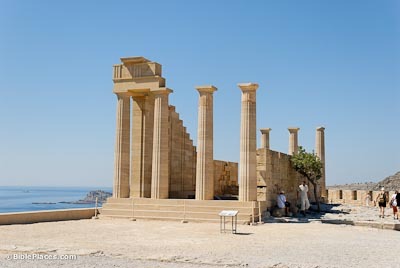 Herod rebuilt the temple of Apollo Pythios on Rhodes. Paul visited the island while returning to Jerusalem from his third missionary journey. Acts 21:1 (NIV) “After we had torn ourselves away from them, we put out to sea and sailed straight to Cos. 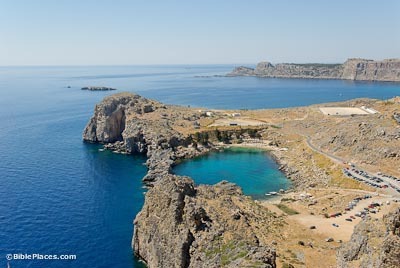 The next day we went to Rhodes and from there to Patara.” One tradition says that Paul’s ship landed in a harbor at Lindos on Rhodes, and another tradition says that he traveled throughout the island spreading the gospel. There is no evidence for either tradition. The Old Town owes its present-day appearance largely to the Knights of St. John, from the 14th and 15th centuries AD. The Knights followed closely the city’s Hippodamean grid-plan, and at times, their streets follow the exact route of the 5th century BC streets. The main street today, Sokratous Street was also the main commercial street in the Hellenistic period. The Lindos Chronicle is an inscribed stele that dates to 99 BC. It was discovered in reuse as a paving stone in a church below the acropolis of Lindos. The inscription begins with a decision, during the priesthood of Teisylos, to erect a stele recording the votive offerings which had been lost to time. What follows is a list in three columns of votives, along with a record of three epiphanies of Lindian Athena. 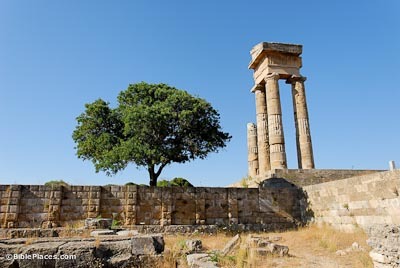 Among those listed are mythological figures and kings, including Minos, Herakles, Telephos, Helen of Troy, the city of Cyrene, Kleoboulos, Pharaoh Amasis, and Alexander the Great. 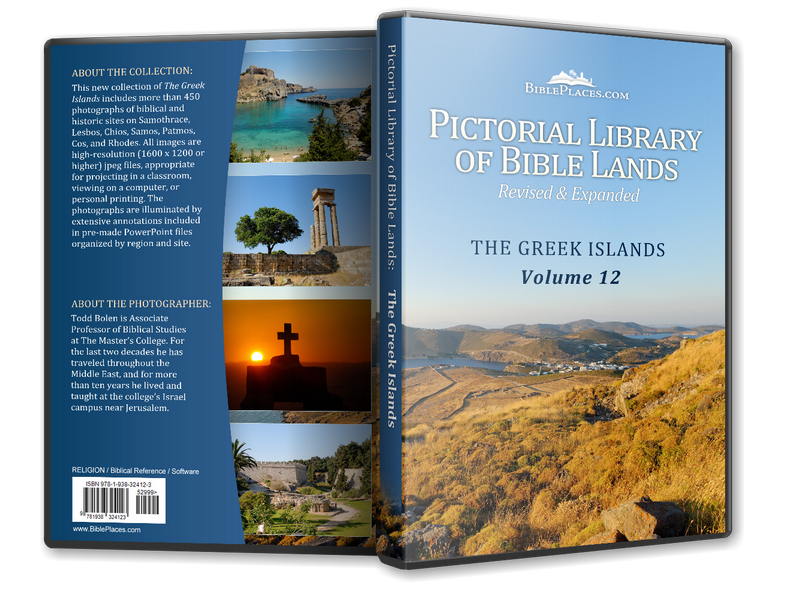 Download all of our Greek Islands photos! See also Cos, Patmos, Samos, and Samothrace.